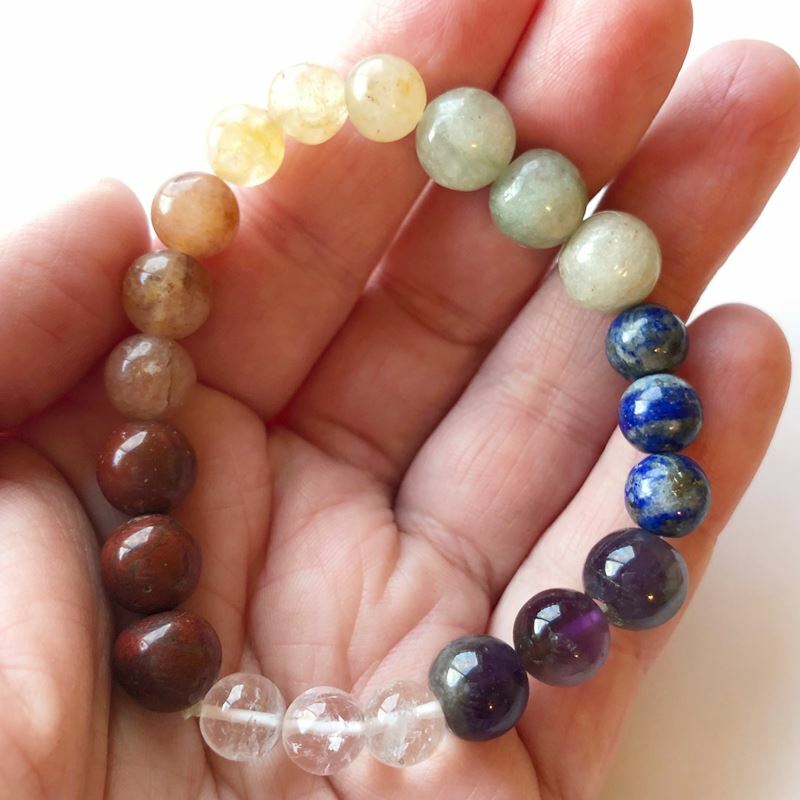 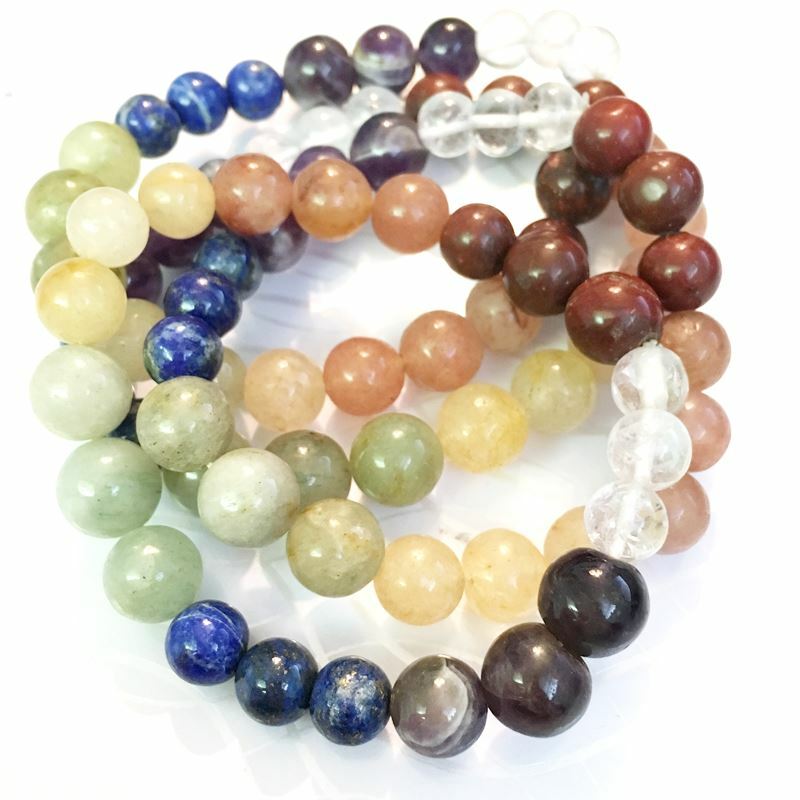 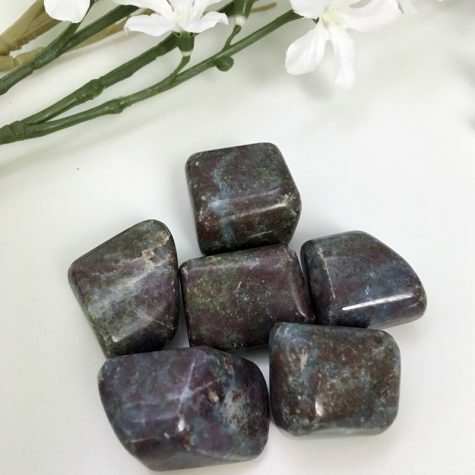 Lovely large chunky chakra gemstone bracelets to wear every day! 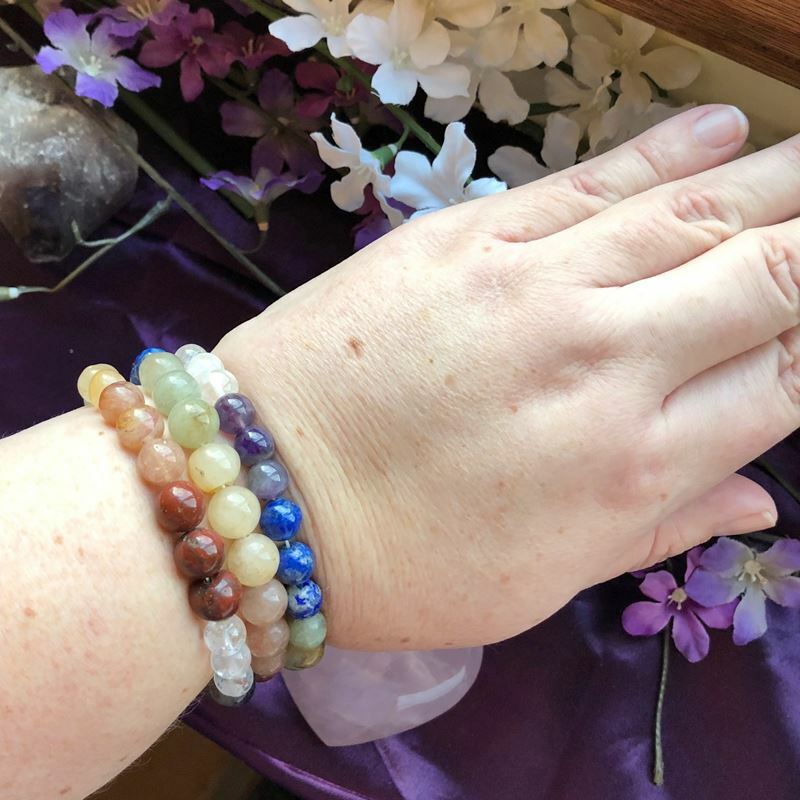 They're roughly 7 1/2″ and generally fit most wrists (I have larger wrists and they're snug, but still work). 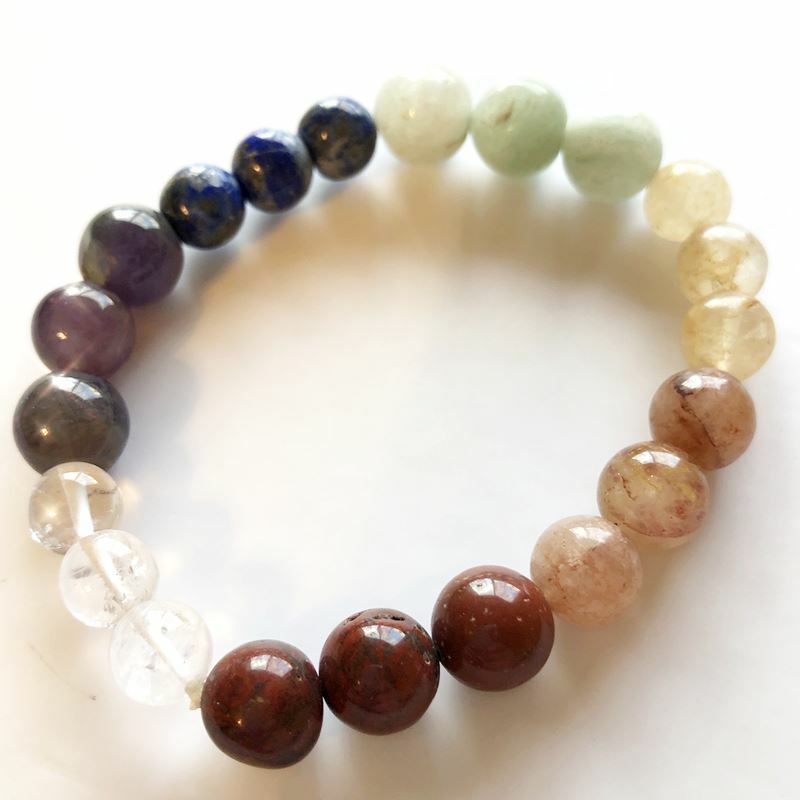 Will vary slightly by bracelet.